Aug. 30, 2018, 11:30 a.m.
Jake Elliott had quite the rookie year. After being picked up by the Eagles a couple weeks into the season, he made history with a last minute, 61-yard, game-winning field goal against the Giants. The kick was the longest in Philadelphia history, and marked a turning point in the season — after the momentum generated by that game, the Eagles never looked back. A beer with his face on it. Even better, it’s an IPA, which is the 23-year-old’s favorite style. Called 4 the Win, it’s the newest release from Pennsylvania’s Roy Pitz Brewing Co., and it’s expected to hit shelves just in time for the official start to the NFL season. Beer and the NFL have a long history as bedfellows, but these days the pairing goes beyond picking up a 24-pack of whichever light lager’s ads you like best. People Elliott’s age barely remember when there weren’t a gazillion independently brewed options instead of just a few macro brands. The Illinois native got interested in brewing even before he could drink it. During a family trip to Ireland when he was a kid, they went on a tour of Guinness, and he caught the brewery bug. “Obviously I didn’t get to try any of the beers,” Elliott said, “but I was interested in seeing the tour.” After he turned 21, he toured Lagunitas in Chicago and Wiseacre in Memphis, where he became a college football rising star. 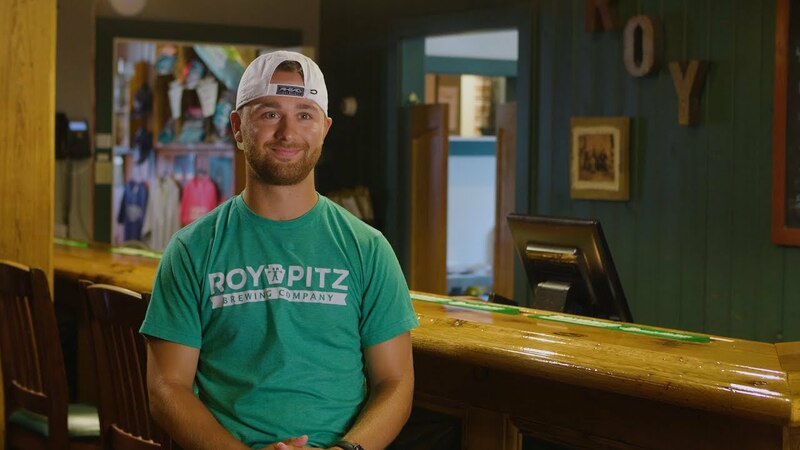 Over the summer, Elliott advanced his brewing chops even further: He was invited to a special a behind-the-scenes visit to the main Roy Pitz brewery in Chambersburg, Pa. The Roy Pitz relationship can be traced back to Elliott’s Sept. 2017 trade. As the Eagles rushed to replace injured kicker Caleb Sturgis, Elliott moved here before he even had a chance to find housing. His sister had married someone with a Philly connect, though — a guy whose best friend is best friends with Roy Pitz head of business Mike Treon. Treon had moved to Philadelphia to help open the Roy Pitz Barrel House, so Elliott, in need of a bed, ended up crashing at Treon’s house for several months. The Roy Pitz team was thinking of doing a Jake Elliott beer even before the Eagles took home the Lombardi Trophy, but after that it was a no-brainer. So they worked with the kicker to develop a good brew. They considered doing a sour beer — thanks to Roy Pitz, sours “are quickly becoming my favorites,” Elliott said — but there wasn’t really time if the brew was to be released this September. What resulted instead was a hazy, New England-style IPA that clocks in at 5 percent ABV, a relatively low alcohol content that makes it good for gameday drinking. Three types of hops add flavor to 4 the Win: Cisco, Mosaic and Galaxy. It’ll be packaged in 16-oz pounders — all of which are emblazoned with Elliott’s visage. The image on the cans, which was custom painted by usual Roy Pitz label artist Will Hemsley, follows a David-and-Golliath theme. As chill as Elliott looks when he’s off the clock and hoisting a cold one, a badass attitude is definitely what the second-year player intends to bring on the field. Asked what word or phrase defines the Eagles this season, he didn’t hesitate.